16uF + 16uF 500V Dual Capacitor for Valve (Tube) Amplifiers, Radiograms, Radios, Transmitters etc. 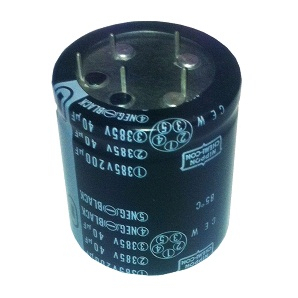 Can also be used as a single 32uF 500V capacitor by joining the two positive tags together. Triple Capacitor for Valve Amps. 200uF + 40uF + 40uF 385V. 40mm dia x 45mm h. 5 PCB stakes.